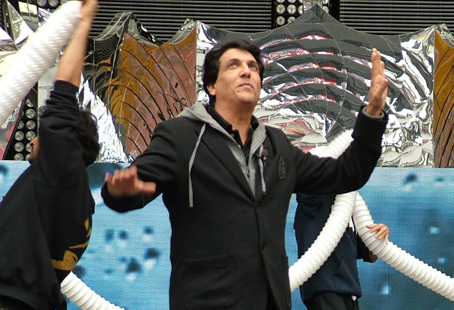 Never heard of Shiamak Davar before? He’s the man behind the exciting choreography and costumes for the Times of India Film Awards that took over the media in Vancouver April 6. Though Davar is best known in the South Asian community for being the force behind the modernization of Hindi cinema choreography, he’s got an impressive roster of celebrities and VIPs on his resume. He’s shared the stage with Sting and Bryan Adams, entertained world leaders like Bill Clinton and our own Prime Minister Stephen Harper, and rubbed shoulders with stars like Oprah Winfrey, Tom Cruise, Will Smith, and many more. Davar has received recognition for creating a worldwide dance education movement that has seen his classes pop up in Canada, India, Australia, the United Arab Emirates and the United Kingdom. And he’s made a name for himself right here in Vancouver since he began offering dance classes in 2003. Davar is also a philanthropist and believes that everyone should experience the emotional and physical benefits of dance. Davar established Victory Arts Foundation, which collaborates with various NGOs throughout India. Through VAF he uses dance to help children and adults with disabilities overcome barriers and improve physical strength while lifting their spirits. This past weekend Premier Christy Clark accompanied him on a visit to Canuck’s Place to entertain children battling life-threatening illnesses.